The art and science of sabha. Last week we examined the idea of creativity and unexpected. We saw that the emphasis was to create a "knowledge gap" in our audience so that they wanted to know more. How can we find the killer example that will get everyone in our audience engaged in the presentation? Answering that question seems like a daunting task that we have to fit in with all the seva we already have. Let's take a step back and look at our guru, Pramukh Swami Maharaj. He spends his day greeting satsangis, doing murti darshan, and performing puja - with a catch; he does it in the presence of others so that they may derive some connection or insight that ultimately draws them closer to a force that can influence their life for the better. There have been accounts of the struggling alcoholic who at one glance of Swamishri loses his desire to drink or the vegetarian-convert who vacillated away from carniverous consumption. Similarly, presenting is an opportunity for us to guide others towards change. While our audience may not be all that knowledgeable of the topic at hand, we should never feel as though we are out to educate them or point out how their current mentality is flawed. Doing so actually denigrates our message. Our goal really is to illustrate how our simple message taken from the presentation can change each person life. We are showing that change in hopes of inspiring others. Picture this: Shriji Maharaj knew his Kathi Darbars enjoyed racing horses, their zeal for fighting, and even their coarse mannerisms. What if He started off by telling them how their interests were all worthless in attaining moksha and pointed out just how rude and raucous they truly were? He may have had to continue that yatra back to where He started! Instead, Maharaj become one of the them by taking interest in their horses and riding with them. After cultivating this bond, he slowly started to create change. Now that's creative. After all, Yogiji Maharaj has said, "Pehla het karva shikvu" (Learn to be a friend first). Hence, the first step in being creative and having a sticky sabha is to like our audience. 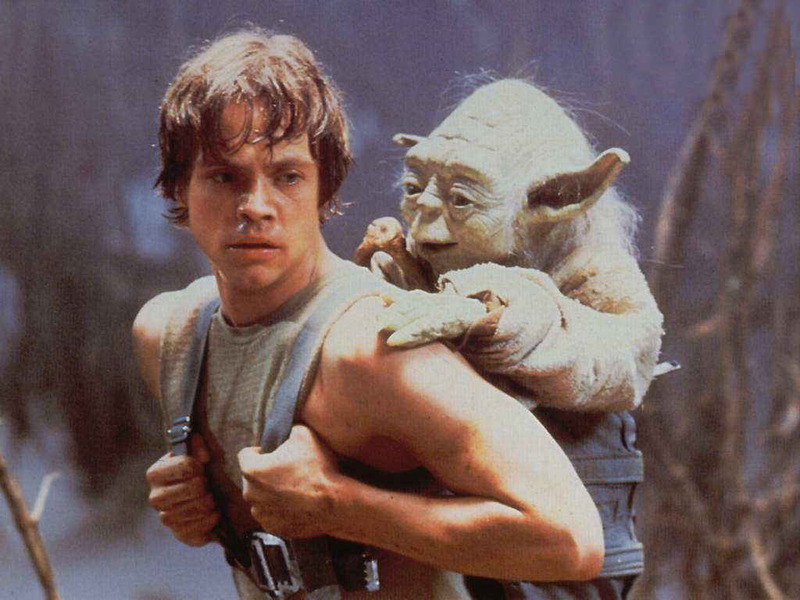 In her book, Resonate, Nancy Duarte compares the audience to the hero and the speaker to the mentor (think Luke and Yoda, Neo and Morpheus). In that light, we can see that speaking becomes an important seva - that is if we choose to hold it in humility and not hubris. Below are an adapted version of some questions that she provides in her book to consider while analyzing our audience (p.65). Duarte notes that our goal is to figure out what our audience cares about and then link it back to our idea. Try using some of these the next time we're faced with crafting a presentation. They can help us decide on the creative story or the unexpected opening that will resonate the most with our audience. What does the average member in our audience do on any particular day? What do they at school, at home, online? What is their opinion on the topic to be presented? How close does it fit to what Swamishri would like? Who/what provided them that insight? What gets them out of the bed every morning? What is missing in their lives? NOTE: "Swamishri" or "Satsang" could be answers to the first question but warrant deeper analysis. What about Swamishri or Satsang could they use in their lives? How do they spend their time and money? What things do they seem to naturally enjoy or hate? Who or what influences their behavior? What experiences have influenced their thoughts? How do they make decisions? How do they give and receive respect? What can you do to make them feel respected? Example: Last week, we mentioned the "trust fall," an exercise often used in presentations on the topic of faith. Let's see how this could break down using this analytic scheme. Lifestyle: This is a K2 sabha, and they all go to college. They've grown up in Satsang for the most part and enjoy the independence provided to them by dorm life and meeting new people through intramural sports. Knowledge: Faith is a topic they feel overdone in sabha and get the idea that blind faith is something we engage in on a day-to-day basis. Still, they do not feel compelled by it enough to follow basic niyams on campus, like eating out. Motivation & desire: Doing well in school and sports and getting along with others is what they seek. If they could link these goals to pleasing Swamishri, then they may increase their faith in him and open up increasing their samjan which in turn will strengthen their bond to him and all things Satsang. Values: They enjoy spending their time in the company of their college peers, and know what's current in the way of pop culture (TV, movies, music). They draw the line if they feel too pressured to do anything contrary to their niyam dharma, like drugs. Influence: Their immediate social group respects their commitment to mandir, but the kishores do not actively promote it with others (i.e. invite them to mandir events). While they may not back out of coming to mandir on Sundays, they may be hesitant to give up hanging out with their friends on a Saturday night to come do seva at mandir. Respect: They would feel empowered if we linked faith to their unwavering commitment to sabha, their intramural participation, and even their steadfast nature in the face of negative peer pressure. Then, we could perhaps nudge them in the direction that niyams are yet another mark of faith to provide a room for improvement. Given that these kishores feel faith to be an overdone topic, the "trust fall" may not be a great exercise; chances are that they've seen it before. However, we could add a touch of basketball: have a blindfolded kishore practice passing to another kishore while relying only on the other kishore's verbal cues. Then, if we linked this idea back to the Sant guiding us in our "blindfolded" time of life, we could open the way for a provocative presentation. From this little exercise, we can see just how important it is to know our audience, to care about them. Ideally, the best presenters are the ones that care about the audience which is why the pravachans given by P. Santo deliver a greater impact. Here is a simple experiment: Next time we've prepared a presentation and are up to speak, commence with the Jay Naad, take a small moment to thank Maharaj and Swami for this seva, ask for their help in making a sticky talk, and then look out at the audience and care that each one of them will take home the message to be delivered. It will work wonders. We are fortunate that caring for our fellow Satsangis is already part of our time and seva at mandir, so let's infuse this sentiment in our speaking. Copyright Sabha.ology. All Rights Reserved. Awesome Inc. theme. Powered by Blogger.